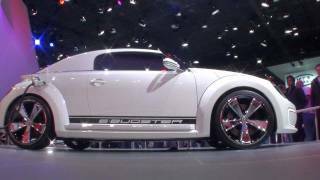 An auto show is an event of unveiling new concept cars by car manufacturers to showcase and test the designs for future car models. 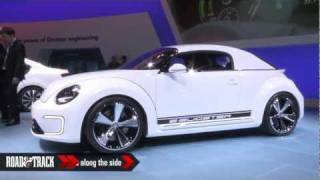 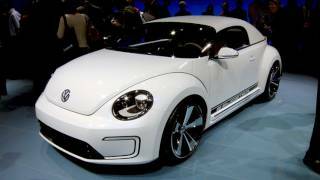 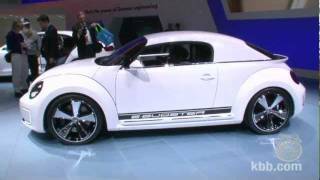 Volkswagen unveiled the E-Bugster concept at the Detroit Auto Show and this concept seems to hint at the future design of the Volkswagen Beetle. 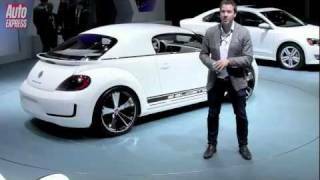 However, the Volkswagen E-Bugster concept is a two-seat speedster powered by a lithium-ion battery with a driving range of 180km with zero emissions.